With beautiful lakes, impressive French colonial architecture and a bustling Old Quarter, Hanoi has a huge amount to offer. It’s also a large city, with a population of almost eight million and a diverse range of areas and neighbourhoods. Like other large cities in Southeast Asia, the area you choose to stay in while visiting Hanoi will have a significant impact on your experience. 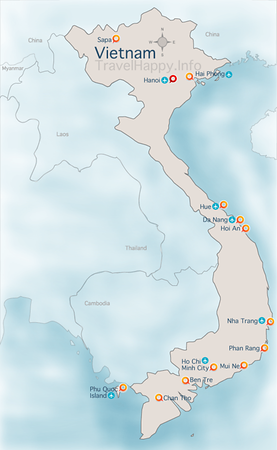 Hanoi has several central districts, each of which has its own unique feel and culture. Hotels in Hanoi range from ultra-luxury to affordable, with a mix of options in between. Just like its counterpart Ho Chi Minh City in the south, Hanoi has its own backpacker area where you can find a good selection of budget hotels and guesthouses. Below, we’ve listed the four best areas to stay in while visiting Hanoi, with a quick summary and hotel descriptions for each area. Most of Hanoi’s tourist attractions can be found in Hoan Kiem District, in particular the area around the Old Quarter. The Old Quarter is a charming part of Hanoi, although its small streets and low amount of space mean most hotels are of the boutique or guesthouse variety. Ba Dinh is one of Hanoi’s most important cultural and historical area, but doesn’t offer as many accommodation options as the Hoan Kiem area. 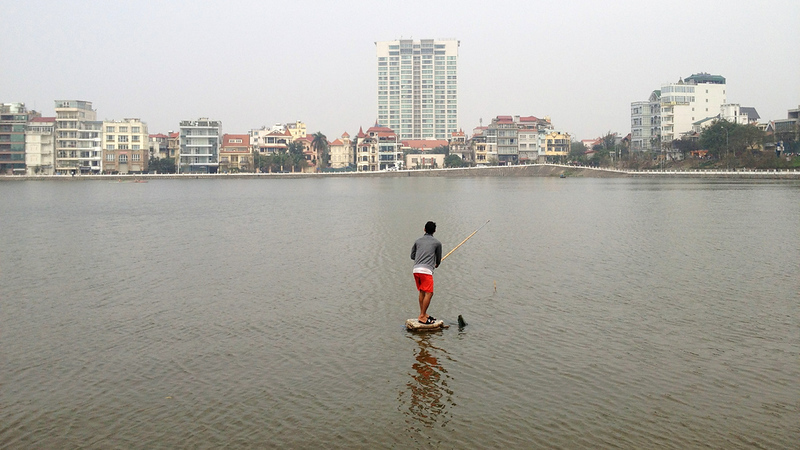 Tay Ho District, or West Lake, is home to a large selection of luxury hotels and Hanoi’s largest freshwater lake. 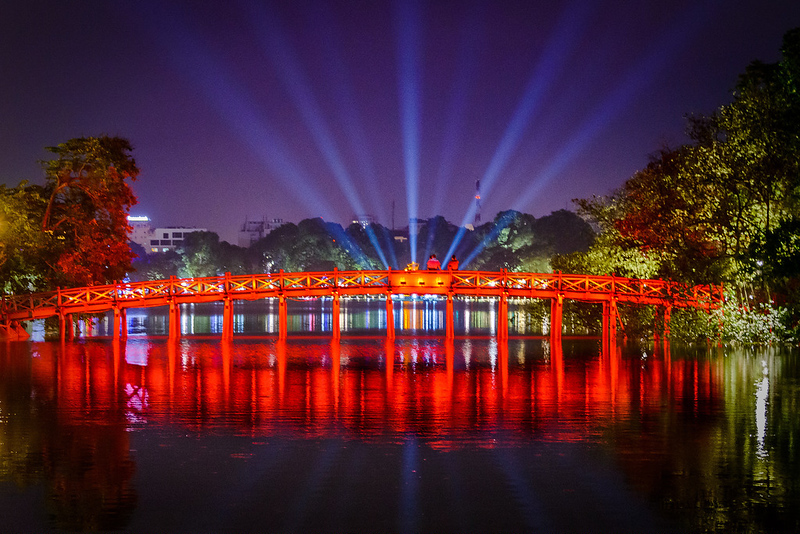 If you’re visiting Hanoi for the first time and want to be close to the city’s attractions and dining options, the best place to stay is Hoan Kiem District or the Old Quarter. Hanoi’s Old Quarter is the centre of tourist life in the capital — a maze of small streets where you can find some of Hanoi’s best markets, temples and other attractions. If you’re looking for a slice of life in historical Hanoi, this is the place you’ll want to stay. Many of Hanoi’s most popular hotels are located in and around the Old Quarter. The area has a large variety of French colonial buildings, many of which have been converted into small hotels and guesthouses for visitors. The Old Quarter’s small streets and limited space mean you won’t find any large luxury hotels here — instead, most places are small, unique and intimate. 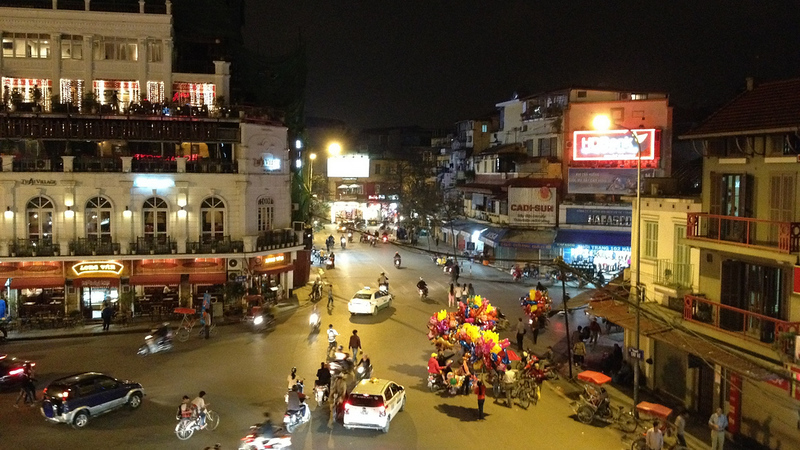 The Old Quarter is also Hanoi’s backpacker capital. You’ll find a good selection of cheap hotels in this area, as well as some backpacker nightlife. Since the Old Quarter is a popular area for tourists, you can find everything from local Vietnamese food to Western dining here. If you want to really experience Hanoi and be right in the centre of the action, this is where you’ll want to stay. Just be aware that the Old Quarter is very busy during the daytime, and that noise, activity and crowds are something you’ll have to deal with. Located close to the heart of the Old Quarter, Apricot Hotel offers artistically-designed rooms in a beautiful colonial building with many of the area’s top restaurants a short walk away. This luxurious four star hotel is located a short walk from St. Joseph’s Cathedral and Hoan Kiem Lake, with a variety of comfortable rooms and suites. Located in the heart of the Old Quarter, Golden Rice Hotel is a small four star hotel with a range of timeless rooms and suites, all just minutes from Hoan Kiem Lake. This two star hotel has a variety of small but clean and comfortable rooms, all located near the centre of the Old Quarter. A good option for budget travellers looking for somewhere clean and no frills. Another great budget option close to the centre of the Old Quarter, Lucky 3 Hotel has spacious rooms with air conditioning, comfortable beds and a high level of cleanliness. Hoan Kiem District emcompasses the Old Quarter (featured above), as well as large areas of downtown Hanoi. You’ll find many of Hanoi’s large luxury hotels in this area, particularly in the streets close to the Old Quarter. If you want to be near Hoan Kiem Lake, the Old Quarter and other tourist areas while avoiding most of the hustle and bustle of the Old Quarter itself, the rest of Hoan Kiem District is a great place to stay. Originally opened in 1901, the Sofitel Legend Metropole is a beautiful colonial era luxury hotel close to Hanoi’s Old Quarter. Rooms here are luxurious and stylishly decorated, with facilities that include a spa, swimming pool and even a historical bomb shelter. Located in the French Quarter, the Hilton Hanoi Opera is a short walk away from Hoan Kiem Lake and the Old Quarter. Facilities include a pool, fitness centre and variety of Vietnamese and international dining options. Located a short walk from Hoan Kiem Lake and the Old Quarter, Amorita Boutique Hotel is a small three star hotel with a selection of clean, modern and well priced rooms. This modern three star hotel has stylishly decorated rooms with great views over Hoam Kiem Lake and the Old Quarter. A good option if you’re looking for a mid-priced hotel with a modern feel. This cheap and simple hotel is less than two minutes from Hoan Kiem Lake. While rooms at the King Ly are far from luxurious, they’re clean, tidy and offer great value for the modest room rate. Hanoi Pearl Hostel is a simple backpacker hostel located close to the Old Quarter. Rooms here are small but more than comfortable enough for a night’s stay and offer great value for money. 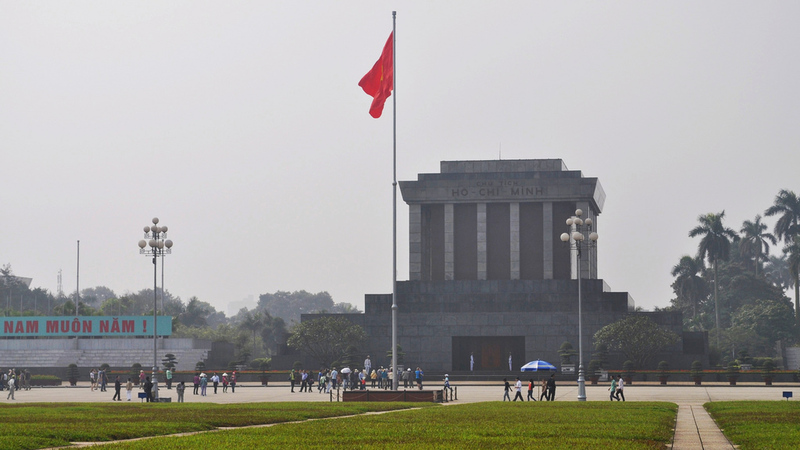 Ba Dinh is Hanoi’s political centre — an interesting area in which you’ll find the offices of many Vietnamese government departments and historical landmarks like Ho Chi Minh’s mausoleum and the One Pillar Pagoda. 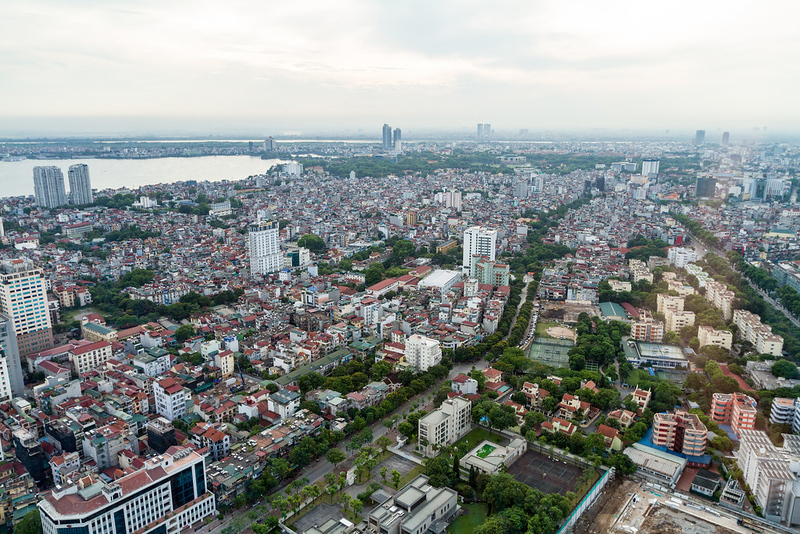 While Ba Dinh isn’t quite as exciting as the Old Quarter, it’s a convenient place to stay if you want to avoid most of the hustle and bustle of Hanoi while remaining close to the city’s most important 20th century historical sites. Hotels in Ba Dinh District tend to be mid range or luxurious, with a good range of international hotel brands to choose from. This part of Hanoi has a good selection of cafés, restaurants and bars, meaning there’s no need to travel into the Old Quarter to enjoy a fun night out. With luxurious rooms and great views of Thu Le Lake and Hanoi’s growing skyline, this five star hotel in Ba Dinh is conveniently located close to the commercial and political centre of Hanoi. This mid-priced hotel in Ba Dinh offers Japanese-style business rooms, plus a relaxing rooftop hot spring spa and sauna. Located close to West Lake, La Belle Vie Hotel is an upmarket four star hotel with a rooftop pool and a variety of stylishly decorated modern rooms. Less than two minutes from West Lake, Tam Hotel has a great location close to Hanoi’s political and scenic centres. Rooms here are simple but comfortable, with plenty of natural light and high quality furniture for the price. Located close to West Lake and the Ho Chi Minh Mausoleum, Canary Hotel & Apartment is a modern three star hotel that offers great value for money and a convenient location for guests that want to see Hanoi’s cultural and historical sites. You’ll find Hanoi’s biggest freshwater lake in Tay Ho District — a modern recreation district with a variety of luxury hotels. Tay Ho district offers a more relaxed pace of life than Hanoi’s city centre, making it a good place to stay if you want to avoid the hustle and bustle of the Old Quarter. There are several pagodas and temples in Tay Ho District, making it an interesting place to stay from a sightseeing perspective. Quan Thanh Temple, an 11th century Ly Dynasty temple, is one of the area’s highlights. While dining in Tay Ho District isn’t quite as varied as areas like Hoan Kiem, there’s a good mix of Vietnamese and international restaurants to choose from. Nightlife in Tay Ho District is on the quiet side, with a variety of local and expat bars but few options compared to the city centre. Located close to the Kim Lien Pagoda on the banks of West Lake, the InterContinental Hanoi Westlake is an expansive luxury hotel with comfortable rooms and world class facilities. Another luxury option in Tay Ho District, the Pan Pacific Hanoi offers great views of West Lake and excellent facilities, including a luxurious indoor swimming pool. This upmarket four-and-a-half star hotel offers spacious rooms and suites with views of the lake, less than 800 metres from Tran Quoc Pagoda and 1.3km from Quan Thanh Temple. Diamond Westlake Suites is a hotel and serviced apartment complex located close to Hanoi’s famous West Lake, with a selection of spacious apartments ideal for families. This cheap and simple hotel offers clean, spacious rooms with large windows in an excellent location less than two minutes from the lake. Another simple and affordable option, Nektar House is a small guesthouse in Tay Ho District that’s clean, comfortable and just a few minutes from West Lake.